If you’ve ever visited or lived in South India, you know that banana is a big deal down there, and there are many varieties to choose from. One such kind is the Kerala Banana, also known as Nendran or plantains. 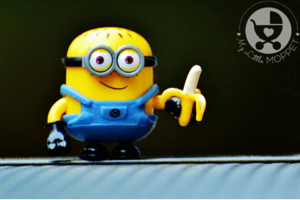 These bananas are nutritionally superior with potassium, calcium, iron and phosphorous, along with good dietary fiber.  They’re also an excellent weight gaining food for underweight kids and babies. But besides this, a major benefit is that these bananas can be consumed either way – ripe or raw!! 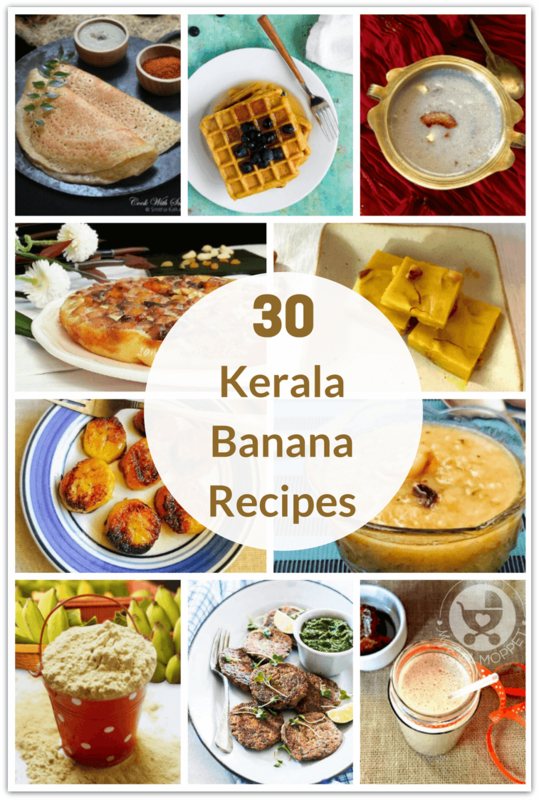 Let’s take a look at some healthy and tasty Kerala Banana Recipes for Kids! The most basic recipe you can make with raw Kerala bananas is this powder. This is an ideal weaning food for infants, supplying them with essential nutrients and good fiber to help digestion. But that’s not all, you can make a whole lot of recipes with this powder too! In case you don’t want to bother with the preparation, you can order raw Kerala Banana powder straight to your doorstep! 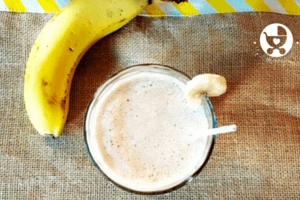 The Kerala banana powder we talked about earlier is perfect for this banana dates milkshake. Packed with fiber, iron and other nutrients, this is one drink that’ll make up for your little one’s fussiness! If there’s one thing you’ll ask your Malayalee friend to bring you from home, it’s got to be banana chips! Now you can make your own with this recipe from It’s Potluck. 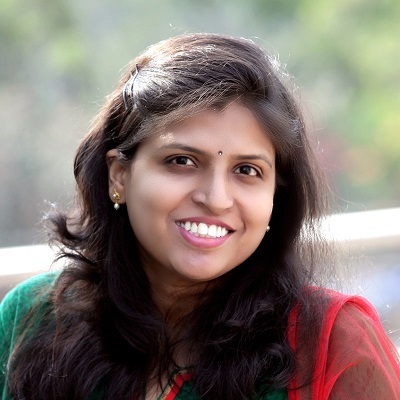 This is one yummy recipe from Yummy Tummy Aarthi that’ll have you smacking your lips! Flavored with a combination of spices and roast in oil, this is a great alternative to other starters! 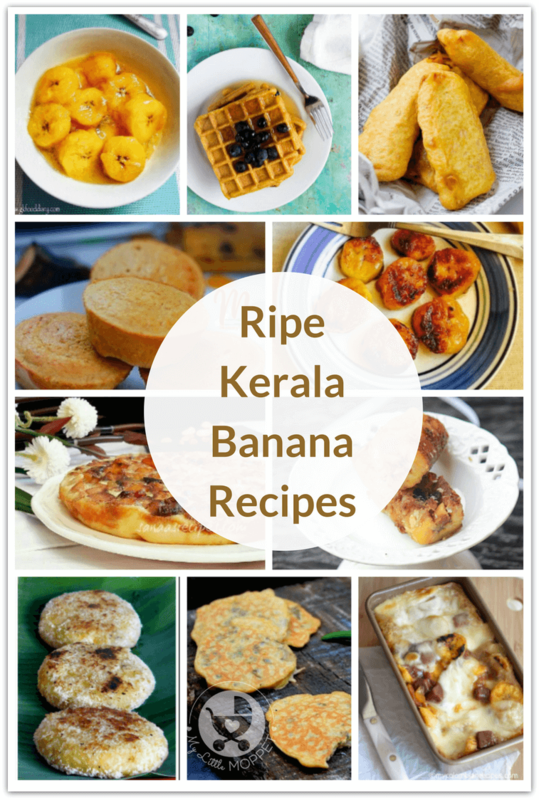 Here’s another Kerala classic, made this time with raw Kerala banana powder – Banana fritters or uniyappams. This recipe doesn’t use refined sugar, opting for natural sweetening by jaggery. This raw banana kebab recipe from My Food Story is vegan and gluten free, and makes use of the ‘meatiness’ of raw bananas. The result is just scrumptious – make sure you make enough for everyone! 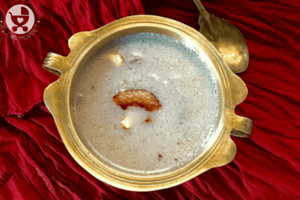 No South Indian feast or festival is complete without a mouthwatering payasam, and this del payasam, delicately flavored with coconut, is fit for a king! Don’t iss the garnish of ghee-fried nuts at the end! These chips are slightly different from the regular salted banana chips, and Mouthwatering Food Recipes has a great recipe that features both traditional and modern versions. Hardly anyone can resist some good halwa, and when it’s made of healthy fruit, it’s even better! This banana halwa uses jaggery and lots of nuts, making this a crunchy treat for kids! This is a great side dish that even fussy eaters can’t resist! With lots of spices, this recipe from Ranjini’s Kitchen is finger licking good and can even be eaten on its own! 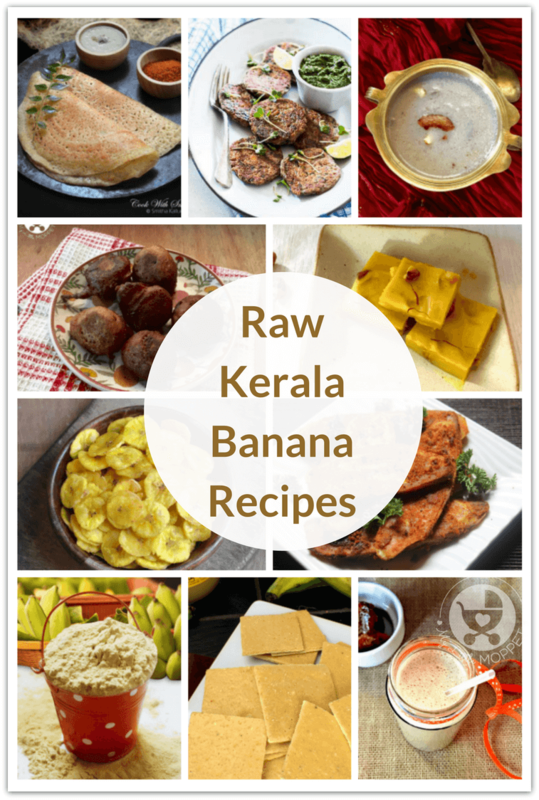 We’ve all heard of chicken 65 and cauliflower 65, but raw Kerala banana 65? Now that’s new! Monsoon Spices has made the impossible possible with this crunchy fried recipe – a healthier fried snack for kids than most! These crackers from Traditional Cooking School are great not just as snacks, but also as a light dinner, served with a soup or a grill. Of course, the kids will also enjoy munching on them while watching TV! We love dosas, one reason being that you can make it out of anything – including raw plantains, like in this recipe from Cooking with a Smile. The plantains add a special extra bulk to the dosa, making it great for weight watchers! This banana kofta recipe from Veg Recipes is a lovely savory recipe that’s perfect for Navratri. You need large, unripe plantains for this, so the recipe doesn’t get sweet. There are so many recipes for sweet pancakes that are made with regular bananas, so why not try this savory pancake recipe from Honest Cooking? If your kids balk at the sight of dosas and uttappams, this will be sure to hit the right note with them! If you’ve never tried puttu, you don’t know what you’re missing! While these steamed funnel cakes are often eaten with black gram curry or small bananas, this recipe from Mouthwatering Food Recipes features a different take by using ripe Kerala bananas. This recipe from Yummy Tummy Aarthi is a classic Malabar dish. It features ripe plantain stuffed with a delightful mixture of coconut, cashew nuts and cardamom. It’s like tasting the best of Kerala in one mouthful! This beautifully flavored dish from G K Food Diary is also fed to post partum women in Kerala to help them get their energy back. Skip the sugar for babies, and go for organic cardamom for a more intense flavor! G K Food Diary has a beautiful banana kheer recipe, made from long ripe plantains. The natural sweetness of the plantains makes sure that you don’t require too much of another sweetener, making this a great dessert for the whole family! This caramelized plantain recipe from Minimalist Baker is luscious to look at, so imagine what it must taste like! We’d probably substitute the cream for vanilla ice cream for a yummy summer treat! If you ever visit Kerala, know that your visit is not complete without a cup of chaaya and pazham pori! This classic dish from Kannamma Cooks is very easy to make and perfect to whip up quickly if you know guests are on their way! You’ve heard of Gulab Jamun and Kala Jamun, but probably not of Nendran Jamun! 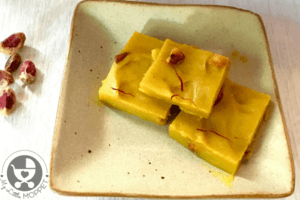 Udupi Recipes shows us how to make this dish, and while it isn’t exactly light, it’s certainly and interesting take on a popular dessert! We’re pretty sure you never thought of putting nendran bananas into a sandwich! 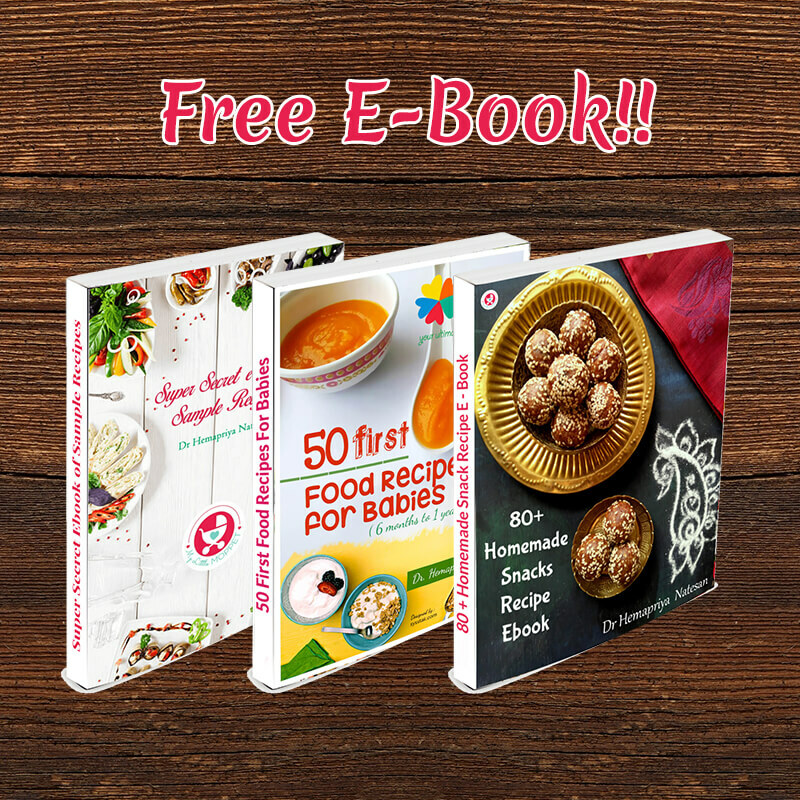 Well, Mouthwatering Food Recipes had done just that, and the result is actually pretty good! This flourless banana cake, also called kaipola, is a must have on all tables during Ramzan in Malabar! This recipe from Sanaas Recipes captures the essence of this classic dish perfectly! Use very ripe plantains, and you won’t need any more sweetening agents for this yummy waffle recipe from Easy Gluten Free Recipes! A wonderful take on a breakfast classic! Cutlets don’t always have to be savory – these banana cutlets from Suji’s Cooking are as sweet as they come! With coconut, cardamom and breadcrumbs, these are melt in the mouth! These stuffed plantains from Kothiyavunu are so filling, they make a great breakfast that’ll keep you full till lunch! With coconut, nuts and eggs, this is one mouthful you’ll be glad to get! Muffins are always a hit with kids, and this recipe from Mummys Yum is perfect! Check out the video tutorial – it’s something you can whip up in no time! 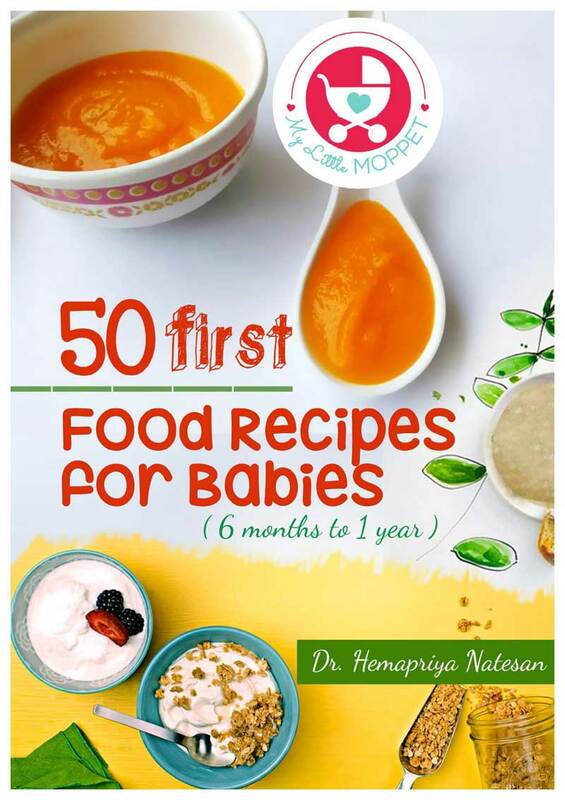 If you’re looking for a quick and easy dessert recipe for your baby, then this sugar-free recipe of banana in jaggery sauce from G K Food Diary is perfect! 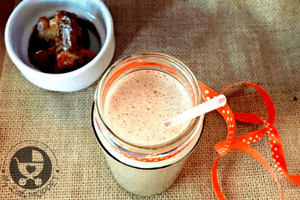 Use organic jaggery to make this healthy recipe even better and safer for your little one. 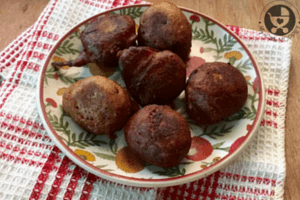 This plantain cake from My Colombian Recipes is an interesting combination of ripe plantains with cheese, and also makes use of two Colombian favorites – plantains and guava paste. 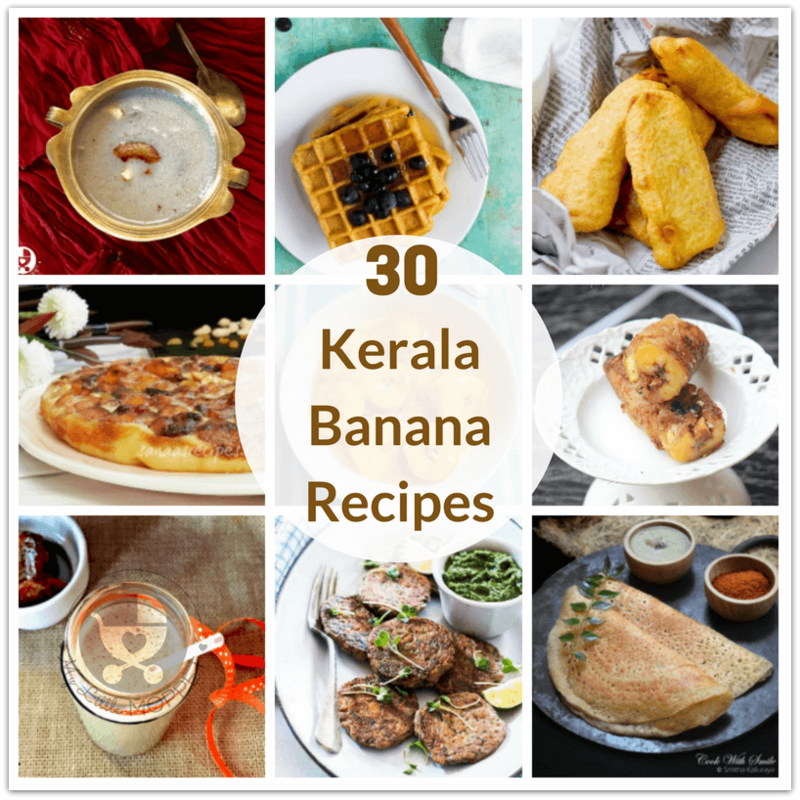 We’re pretty sure you never thought there could be so many Kerala banana recipes! This is one fruit that’s incredibly versatile and perfect for sweet and savory options for the whole family!